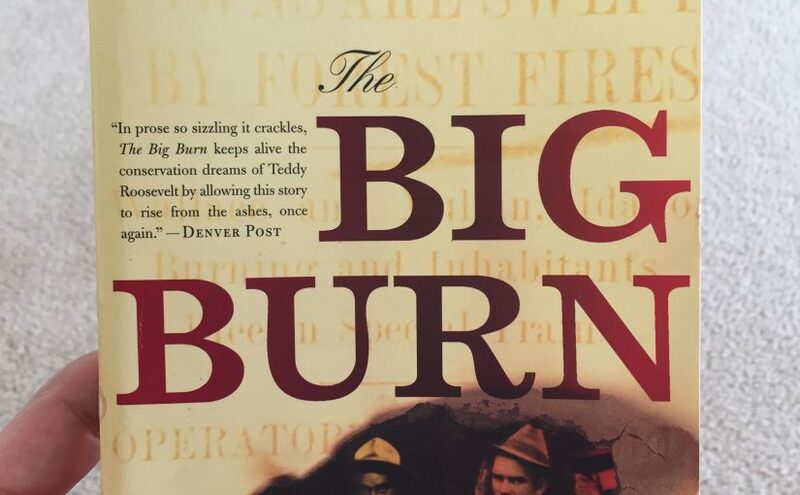 Last week I finally finished Timothy Egan’s The Big Burn: Teddy Roosevelt and the Fire that Saved America, a history of a massive 1910 wildfire in the northern Rockies. As I read the book, I realized that it fits into a wider set of recently-read books on the west and wildfires, including Philip Connors’ Fire Season (about time spent as a fire lookout in New Mexico), Norman Maclean’s short story/memoir “USFS 1919: The Ranger, the Cook, and a Hole in the Sky,” Rick Bass’s Winter (about his first winter in northern Montana), or a lot of the John McPhee I’ve been devouring. Egan’s book is a little frustrating, though. As his (or his publisher’s) subtitle suggests, the book can’t decide if it’s the story of how Theodore Roosevelt and his forester Gifford Pinchot started the American system of forest reserves (and its guardian agency, the U.S. Forest Service) or the story of the Big Burn in and around the Bitterroot Mountains along the Idaho-Montana state line. 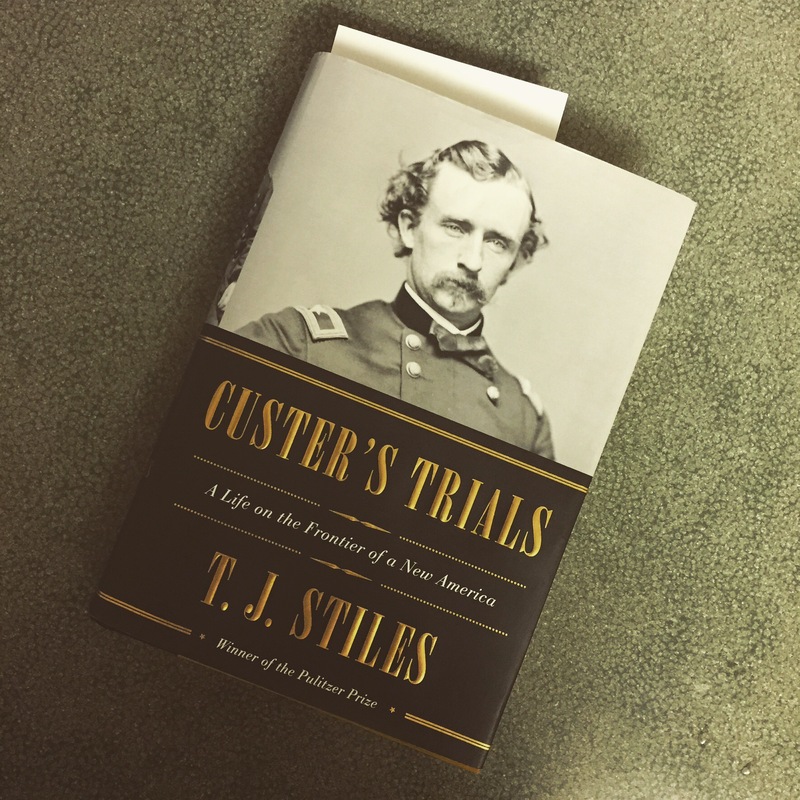 The former story (split across the book’s long and somewhat meandering first section and a shorter, quicker ending section) is interesting, and resonates now, at a moment when misguided public servants in Washington and throughout the West think it’s high time to sell off public lands to private interests – and not to the homesteaders who tried to colonize the Bitterroot forests at the turn of the last century. Roosevelt, typically, comes off as a heroic figure, right up to the point that he loses the three-way 1912 election. Pinchot is more complex – a visionary, a conservationist, a millionaire, a jerk – and more interesting for that complexity. Neither Teddy nor G.P. 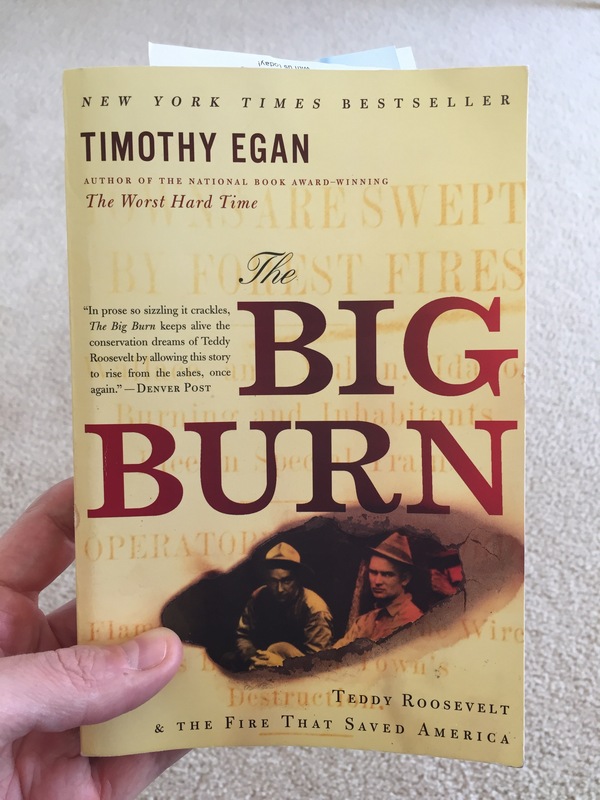 figures in the story of the Big Burn, though, and it’s the fire itself – a natural disaster of Biblical proportions – that stars in the book, especially in the middle section, when Egan grippingly describes the origins and spread of the conflagration. Thanks to an unusually dry summer, some bad weather, and the inadvertent creation of an infinite amount of tinder by the Forest Service’s policy of fighting all fires, the Big Burn ironically defied the Forest Service’s efforts to fight it. Over the two days it raged, the fire laid waste to millions of acres of backcountry forest, destroyed several towns (not all of which were rebuilt), and killed 80-some people – not as many as might have been expected given the fire’s scale and scope. All that is to say that the fire restored a massive swath of the American West. Its elemental power could not be resisted, only accepted or escaped. Some who accepted the fire did so against their will and tragically, dying in a variety of horrifying ways that Egan outlines in some of the book’s more compelling and terrifying passages. And some who accepted the fire survived, though often after suffering permanent injuries. Egan movingly describes several survivors’ unsuccessful attempts to obtain aid from the federal government. He does not, though, describe the forest’s own rejuvenation, which left me hanging. I wanted to read more about how the Bitterroot forests grew back, what they looked like ten, twenty, fifty, or a hundred years after the fire – a period when the USFS managed or mis-managed them for the benefit, offer, or big lumber companies whose effects on the land were apparently as bad or worse than the fire. That the Western forests (and those in the South and East as well as in Alaska) were preserved or at least managed for the good of the country is what, I guess, the subtitle means, and so I guess that Egan does achieve that goal: showing how the calamity of the Big Burn focused conservationists’ energies on arguing, more or less successfully, that at least some of America’s lands needed to be held in common for the nation’s good. That’s a battle that we’re still fighting. A person can find all types of treasure, trinkets, and trash bearing John Muir’s famous line, “The mountains are calling and I must go,” which he originally wrote in a letter to his sister. I don’t know what Muir thought of Yellowstone and the Tetons, but I bet he’d have found the Island Park area interesting: like Yellowstone, it’s got a fascinating geological history. For instance, Big Spring, near the northern end of Island Park, is indeed a big spring – one of the biggest in the world – and gives rise to Henry’s Fork of the Snake River. More dramatically, the entire area occupies the floor of two nested caldera – collapsed volcanoes. The larger Island Park caldera is about the same size as the Yellowstone caldera, part of the supervolcano that – as the Onion jokes – could choose to blow at any minute. Of course this relates to fatbiking! 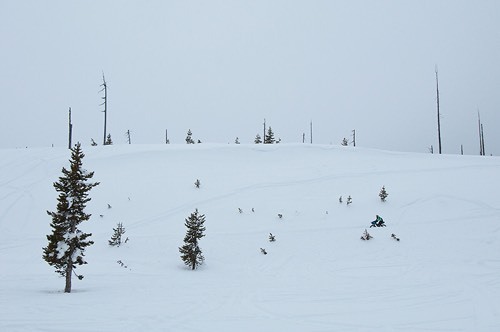 The Fat Pursuit course skirts the aligned western rims of the Island Park and smaller Henry’s Fork calderas, then runs south to the spot where the Henry’s Fork river drops off the edge of the caldera, forming the two Mesa Falls on its way to the Snake River. The course winds toward the eastern side of the Henry’s Fork caldera, climbing along its edge before dropping back down away from the rim to our first checkpoint. There the course starts to run north, climbing out of the Henry’s Fork again and then out of the Island Park caldera too on the way to our second checkpoint. Later, after the third checkpoint, the course bumps up and over the the rims again, just a few miles from the finish. I doubt I’ll have the wherewithal (or the daylight) to notice these various encounters with the race’s geology, not maybe I can pick a few of the details up on the drive to the start in Thursday. And I’ll certainly hope that the super volcano doesn’t erupt while I’m riding in the race. That would almost certainly melt my bike and prevent me from racing the way I’d like. I think the first time I really liked a song of his was when I started hearing “Raspberry Beret” on the radio while traveling by bus to a Catholic youth camp in Wisconsin in 1985. Prince was big by then, and I knew some of the classics off “Purple Rain” and earlier albums, but “Raspberry Beret” stood out. “If it was warm/she would be wear much more” seemed so *dirty* to twelve-year-old me. And to this day I sing “In through the out door out door” whenever I see a door marked for exit only. Wait, was that line dirty too? Second story: On New Year’s Eve 1998, Shannon and I went to a party thrown by my grad school friend Michael and his then-girlfriend Julie. 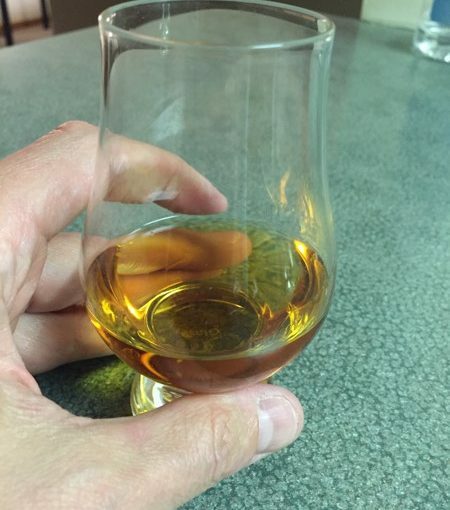 It was probably the first time I’d ever had whiskey – knowing Michael, probably Maker’s Mark. It hit me like a ton of bricks. At midnight, I was still tipsy when Julie put Prince’s “1999” on the stereo, because can there be a more perfect moment than NYE 1998 to sing along to “I’m gonna party like it’s nineteen ninety-nine”? No, there cannot. Listening to the song, my buzzing mind went back to that bus trip in 1985. Two loops of my life tied together with Prince. I’ve still never seen *Purple Rain*, though. Tonight I filed my final grades for the online history course I taught this fall at Metropolitan State University, a public commuter school based in St. Paul, Minnesota. Owing to their administrative chaos and budget cuts and to my own lack of time (energy, interest…), this is probably the last course I’ll teach for them, and thus probably the last course I’ll ever teach. I can’t say that I’ll miss teaching, really, but it’s been a good run. I started my history-teaching career in 1999 by serving as a teaching assistant while in grad school at Northwestern. Altogether, I served as a TA in three courses and taught one of my own in 1999 and 2000. No “teaching” I’ve ever done was more terrifying than that first lecture delivered as a TA to a giant auditorium full of undergrads. When my one-year contract at St. Thomas ended, I signed on to teach history courses with Metro State – always only one per term, and always one of two or three U.S. history survey courses. I was by then working full-time in an academic support job at a different university in Minneapolis while finishing my dissertation. At first I taught “bricks and mortar” courses in the evening at Metro State’s branch campus in Minneapolis – four courses from fall 2003 to summer 2005. I remember waiting amidst the bar-hoppers on Hennepin for my bus back home – first a late express (or was it a ride from Shannon?) out to the ‘burbs, then, after we moved into the city, a local to our new house. When I took my new job at Carleton in 2005, we saw that we (Shannon and baby Julia and I) would need to move to Northfield, so I volunteered to help launch the department’s online courses. I developed online versions of two of my courses: a global history of World War II and U.S. history since 1865 through the lens of science and technology. These, I’ve been teaching in rotation ever since – spring, summer, and fall, year in and year out, with the occasional term off. All together, I’ve taught them 25 times: 12 editions of the World War II course (which I really liked) and 13 editions of the U.S. survey (which no). Though I never learned to love the online format, and never had the time to master it, I think I did some good teaching – as good as I could while also adjusting to and getting good at a new full-time job, starting and adding to a family, moving to and getting settled in a new community, and getting hooked on bikes. My Metro State students were fascinating. About half of each course’s enrollees were “traditional age” undergrads – say, 18 to 25. The other half were adults who were “finishing their degrees,” often years after starting them. Once, I taught someone who had served in the Korean War, and I had numerous Baby Boomers who offered their first-hand perspectives on the historical events, people, and trends we were studying. 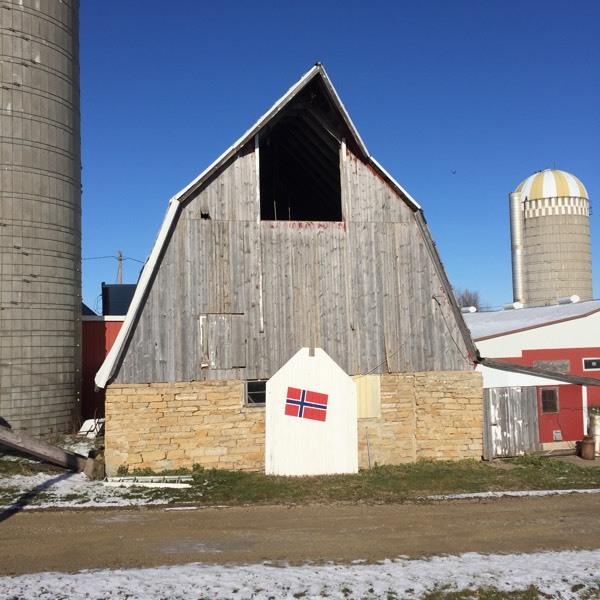 Though most of my students lived in the Twin Cities or at least in Minnesota, a few every term were doing the course from elsewhere in the country or the world, including a few soldiers in some very remote locations. True to Minnesota, I had a lot of Andersons, Olson, Carlsons, and Larsons as well as many Hmong and Somali students – though, interestingly, very few Latino/a students. In one course, I had three Hmong women with exactly the same names – first and last (They were unrelated.) Regardless of background, virtually all of my students were working full-time while engaged with the courses, so we had that in common. Figuring 30 students per course, I’d estimate I’ve taught about a thousand undergrads since my first course at St. Thomas in fall 2001. Yeah, it’s been a good run. I’m not sad to be at the finish line. Even here at the windswept edge of the prairie, a patriot can find stubborn pockets of unassimilated immigrants. 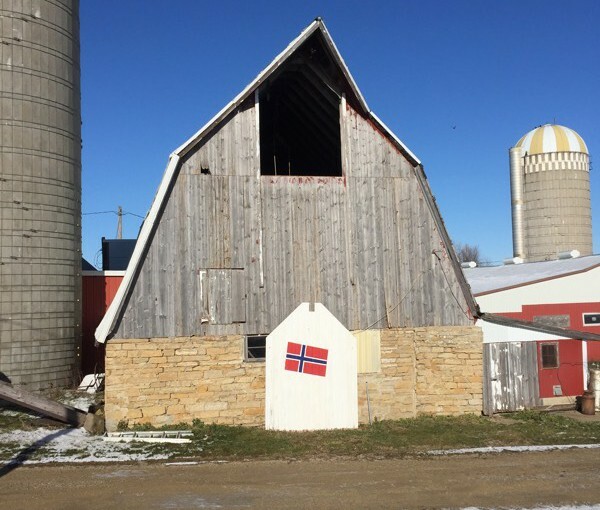 This crude flag, seen today on an excursion southeast of my home town, speaks volumes about the recondite nature of the immigrants who dwell in the run-down compound of which this building is just one part. Who knows what un-American spirits animate these immigrants. One can assume they’ve stubbornly retained the surnames they brought with them over the wide Atlantic – names full of ugly consonants and unlikely vowels that confound the American tongue. Do these immigrants even know our Constitution, or recite our Pledge of Allegiance? Perhaps they – like their countrymen who never fled their rocky homeland – still follow the dictates of their king. Certainly, their farmstead suggests no interest in a Jeffersonian ideal of the citizen. Whatever their political views, however, we can be sure that these immigrants adhere to the 16th century teachings of a raving Teutonic priest who sought to overturn the social order and who achieved decades of bloody religious warfare. As mute proof of their religiosity, a temple dedicated to this madman’s sect stands but a short distance from the compound, its minaret-like steeple looming over a think line of trees. And what of more quotidian interests? Judging by the state of repair of the several motor vehicles in the compound, the immigrants can only with difficulty venture to the markets in town. Do they wear our clothes? Do they read our books? Do they eat our food? A patriot might reasonably wonder whether they have ever enjoyed the truest American delicacies such as hamburgers, pizza, or tacos. Until they do, that patriot should fear for the wholeness and unity of the Republic. Through the first part of the year, I read a bunch of books on buffalo, all of which inevitably included at least a brief treatment of the Great Slaughter, during which colonizing whites annihilated the North American herd of bison that had numbered at least 30 million (and possibly 50 million) as late as 1850. By 1900, only a couple dozen survived, hiding deep within the Yellowstone country in northwestern Wyoming. By the end of the spring, I was simply tired of reading stories about this and other destructions of nature, and so I sought out some reading that offered a more hopeful, if not exactly positive, perspective on environmental history and on our current environmental situation. Gradually, I shifted my bison reading to material on the array of bison conservation and restoration efforts that are underway throughout North America – perhaps most importantly, on the American Prairie Reserve in north-central Montana, where conservationists hope to have a 12,000-head herd of wild, migratory bison by 2030. I learned, in this reading, that these kinds of ambitious landscape-scale conservation efforts were called rewilding, and that under that rubric, many thoughtful, hard-working people all over the world are trying to reverse the arrow of human development (read: destruction) of the natural world and going back to something like the world that existed when humans were fewer, or absent. By and by, this led me to George Monbiot’s Feral, an engrossing book on the idea and practice of rewilding. The concept could be merely romantic or misanthropically nihilistic, but Monbiot’s careful research and exceptional writing outlines a different vision. The kind of rewilding that Monbiot advocates rests on his particular perspective on nature (one learned from and shared with many others) and on his assertive, engrossing investigations of places where rewilding is already occurring, such as the nearly-lost Caledonian forest in Scotland. More than anything else, Monbiot recommends – in a cleverly conservative way – that humans give up our drive to control nature (a drive that seems increasingly to doom us and nature) and recognize that nature is more complex, more obdurate, and more resilient than we can know. If – Monbiot argues and illustrates with powerful examples – people simply get out of the way, nature will take its course back to landscapes (and seascapes) that sustain a far wider range of non-human life than our arid cities and suburbs – and much more than even our “natural” areas such as denuded farmlands and largely un-natural parks. Not only is this nature better for nature, but this nature would be better for humans, too – a world where we do not burden ourselves with the crime of destroying our home and where we can live in settings (forests, prairies, coasts) that look, feel, and are more like the places where we evolved. Of course, many can object – for good and bad reasons – to rewilding. It’s certainly just one scheme among many for living on Earth. But it’s one that resonates with me, and that I think makes more sense than a lot of other approaches to civilization that I see operating right now. I was probably in elementary school when I first heard people talking about how the area where we lived, Michigan’s Upper Peninsula – a.k.a. Upper Michigan, the U.P., or now, “da Yoop,” – could or even should be a separate state. 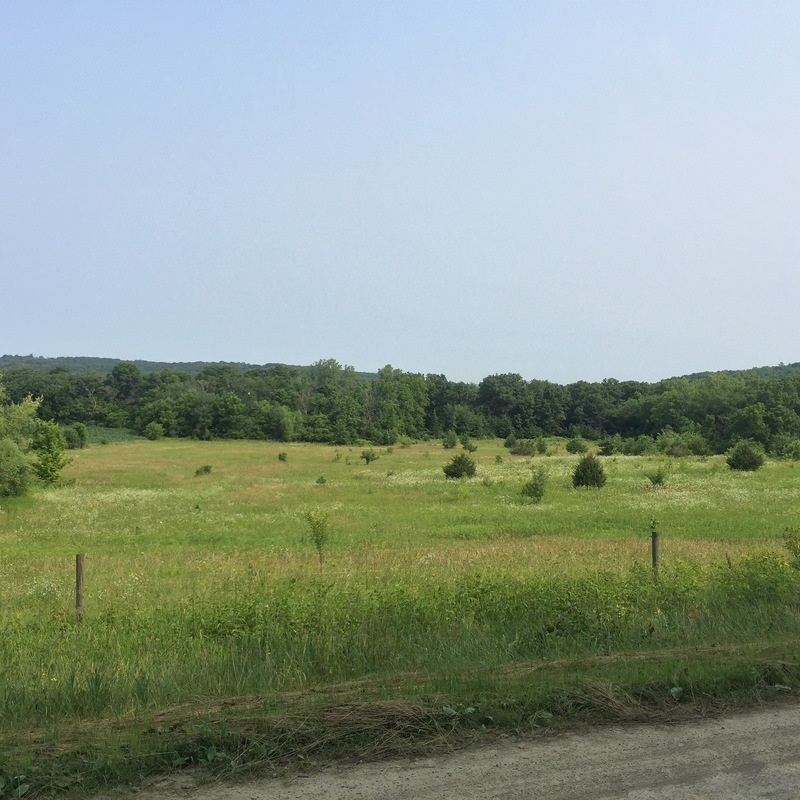 This state – North Michigan or perhaps Superior – ought to be separate, the thinking went, due to the stark geographical and demographic differences between the U.P. 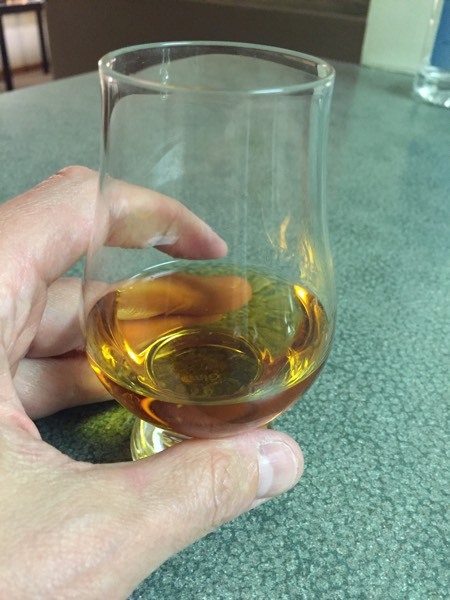 and the Lower Peninsula – a.k.a. the L.P., “the Mitten,” or just “Michigan.” Anyhow, the only reason “we” were part of Michigan was the stupid compromise with Ohio over Toledo. One of the reasons that Superior would not be a great state is it’s big and empty – Wyoming, but all forests; Alaska, but no tundra. Wikipedia says in its entry on the U.P. (the actual place, not the imaginary state) that “the Upper Peninsula remains a predominantly rural region. As of the 2010 census, the region had a population of 311,361,” of whom only a third live in one of the twelve towns that have populations greater than 4,000 people. For comparison’s sake, Wyoming’s capital, Cheyenne, had a population of 92,000 in 2010 – a third bigger than Marquette County, the most populous county in Superior, and 425% bigger than Marquette city, which, with a population of 21,355 in 2010, is the most populous city in the U.P. Superior. Marquette – as the putative capital of Superior – would be the fourth-smallest state capital, bigger only than teeny-tiny Montpelier (just 7,855 people lived there in 2010! ), Pierre, and Augusta. 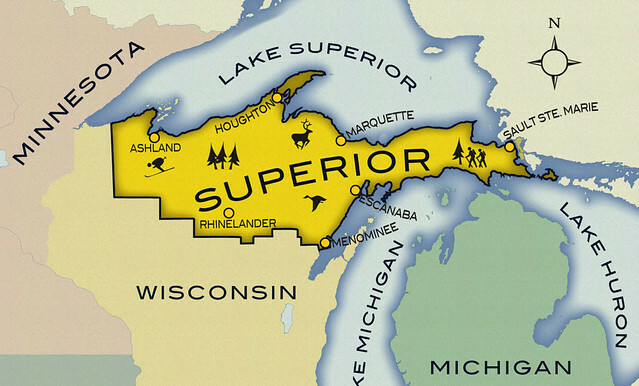 And like many a rural, underpopulated state full of white people and public lands and almost wholly dependent on tourism and natural resources (in the U.P., lumbering and mining), Superior would probably be a blood-red state. In 2012, all but two U.P.’s counties went for Romney in 2012, and all but one supported the (horrifyingly bad) Republican governor. The U.P.’s fifteen counties – grouped in Michigan’s first congressional district – have elected Republican and Tea Partier Dan Benishek to the House of Representatives in 2010, 2012, and 2014. So yes, Superior is a terrible idea. two national forests, the Hiawatha in the center and east and the Ottawa in the west, in which my family’s “hunting camp” was located and which is thus obviously the better one. Rivals: Trolls – those who live “below the bridge” in the Lower Peninsula (the bridge being the mighty Mackinac – five miles long, the fifth longest suspension bridge in the world. Titletown is only about 175 miles from Marquette, versus about 400 miles to Minneapolis and 450 to Detroit, so it’s definitely not even a question don’t get me started. GO PACK GO! * Running west to east, Ashland, Iron, Vilas, Forest, Florence, and Marinette. The latter is the most populous in the group, and would be the second-most populous county in the state, after Marquette County in Michigan Superior. I dunno if that many bike riders name their bikes, but I know a few who do, and I have named my last three bikes. 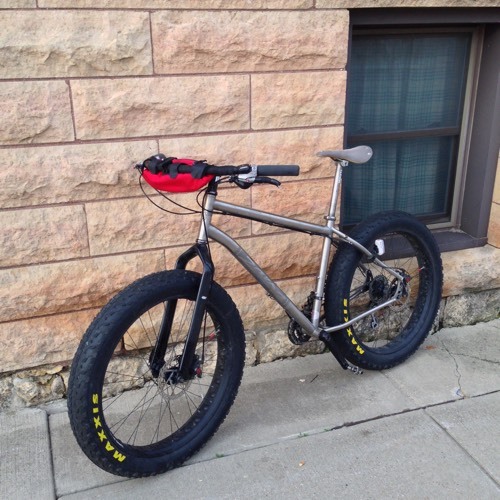 My first gravel bike, a Surly CrossCheck, never earned a name, but my blue Salsa Mukluk fatbike was "the Beast," because it was a beastly machine that could go anywhere and looked (I think) a little scary, with those big tires seeming to be giant black paws. My Salsa Vaya gravel bike is "Giddyup," because it’s got a lot of get up and go – which is true even if I don’t ride it enough. 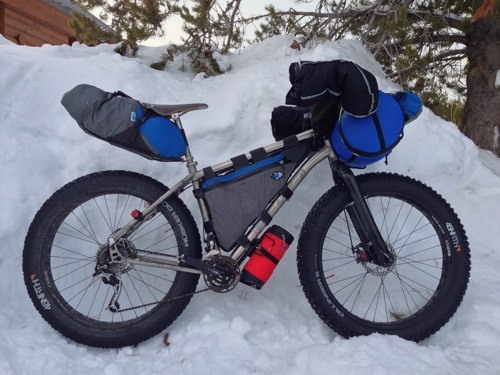 My favorite bike, my silver Salsa Mukluk, is "the Buffalo," a name that took me a long time to choose – or which took a long time to choose the bike. 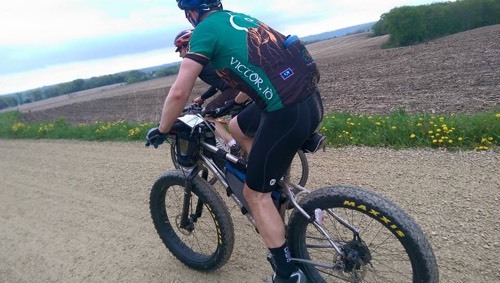 Quite a few people have asked me about the name – including several strangers at the Almanzo last weekend who rode up next me and asked, "Is that the Buffalo? Are you Chris Tassava?" Despite or because of the weirdness of having strangers recognize me and my bike, I thought maybe I should explain the name. I bought the Mukluk from my friend Ben, who’d built it up for himself a few years before but hadn’t had time to really put it to use. He gave me a great deal on the bike, so I snapped it up. Riding the nameless bike for months after I bought it, I thought about its many wonderful qualities and waited for the right moniker to emerge. My daughters lobbied for "Beauty," partly as a complement to the Beast (though I no longer owned the Beast) and partly because they’re girls. Honestly, the bike is pretty. Dressed in its blue and gray frame bags for winter racing or bikepacking, the bike looks, I think, like it’s wearing a comfortable, functional uniform. Without the bags, the bike shows off all of its unpainted silvery titanium – definitely the bike material that’s easiest on the eyes. Despite all that, "Beauty" didn’t fit. Not that one can’t define beauty in many ways, but to me, the bike was too burly and too aggressive-looking to be "Beauty." Then, on a long training ride last fall, with the bike dressed in its all bags and laden with most of my winter-racing gear, as I ground my way up a long, messy gravel climb, it hit me: "the Buffalo." My mind was primed for this revelation. I’d just read an article somewhere about bison. Most people know about the bison’s near-eradication in the 19th century, and also know the bit about how Indians used "every part" of the bison, but the animal itself is as fascinating as its history. It’s the largest North American mammal, the only survivor of the megafauna that thrived tens of thousands of years ago but that were almost all killed off by humans when they migrated out of Asia. The bison survived because of their unique physical characteristics. They’re massive, but their physiology enables them to thrive in a wide range of conditions – hot southwestern deserts, temperate grasslands, lowland forests, mountain valleys, Alaskan swamps – and of course, the dry, windy grasslands that run up the center of the continent, which was where I live and where I would largely be riding the bike. A bison is fast – able to run up to up to 25 miles an hour. 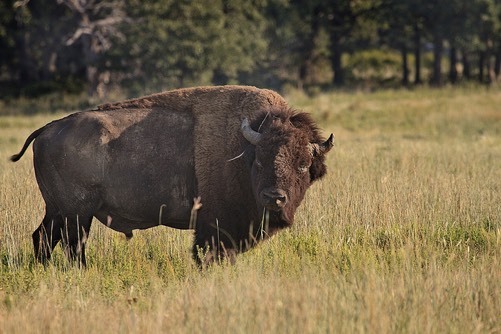 A bison is nimble – able to jump over fences that are six feet high or ditches and holes longer than their body length. A bison is tough – able to move dozens of miles a day in the right conditions (not to mention to survive the white mans’ guns). And a bison is very pleasing to look at, in a wild way. But "the Bison" didn’t sound right, and "Tatanka" (the Lakota word for "bison") didn’t seem right coming from a white guy. Growing up, I’d always used the label "buffalo" for bison, which mattered to me because riding bikes – especially fatbikes – can be a pure, childlike pleasure. And "the Buffalo" just sounded right when I said it. The name fit all the more because I’d installed some weird curved handlebars that looked – from above and behind, which was my view of them – a little like a horned bovine head. Within a few hundred yards of gravel road, the nameless fatbike became the Buffalo, and the Buffalo has taken me to some cool places.